Persistence – For this trait you can imagine Freddy Krueger or any horror movie villain for that matter. You know the type; you shoot them ten times and throw them into the ocean to die and they still come back for more. Entrepreneurs have to be just as resilient. Your company’s crises and catastrophes must be mere flesh wounds that would only destroy a weaker businessperson. 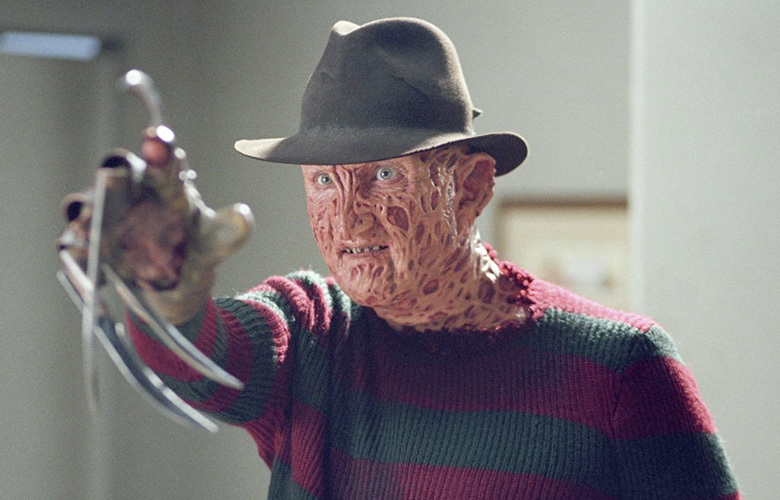 Krueger was actually killed in some of his movies, but that didn’t stop him from appearing in new ones (5 or 6 total). Your business may die, but that shouldn’t stop you from starting another one; you only need one to work to be a success. Focus – Krueger didn’t try to branch out and move in on the movie market for evil possessed dolls or villains in hockey masks, did he? No. He created six or seven films all pretty much about a wacko who attacks people while they’re sleeping. Don’t try to be everything; focus on what you’re great at. Obsession – Krueger wasn’t just focused, he was obsessed. He thought about his business (as gruesome as it was) all day and even in dreams where he did most of his dirty work. To succeed as an entrepreneur you should be obsessed about your ideas. You should be dreaming about them. Partner – Krueger could have viewed hockey-mask-wearing lunatic Jason as a competitor for audiences. Instead, he saw working together as an opportunity. In Freddy vs. Jason, Krueger appeared in one of the Friday the 13th movies to battle with Jason. I’m sure this raised awareness and introduced both Krueger and Jason to a whole new crop of fans. When your resources are limited – to take their case, only a metal claw and a hockey mask – partnering can accelerate your “success”. Perhaps we can learn from Krueger, and, if our road to success happens to make our competitors a little nervous when they’re sleeping, that’s not so bad, is it? If you’re interested in advice from someone who uses hockey equipment to actually play hockey, you might want to check out, An Awesome Customer Service Lesson from the Greatest Hockey Player of All Time.